to Our Biggest Celebration of the Year! This year we celebrated 20 years of our artist-in-residence program which has been the launching pad for many working ceramic artists today. And we honored Arial Edwards who was our Community Arts Director from 2009 to 2016, and the Carver Center that has been one of our most enthusiastic community partners over the past decade bringing arts enrichment to hundreds of Port Chester youths and families. Thank you to everyone for making Clay Art Center's work possible. This year we raised a record $125,000. Your support provides over 1,000 scholarships for underserved and at risk youth to take clay classes where they grow and flourish; provides a place for emerging artists to gain experience and skills through our Residency program; offers hope and connection for people with special needs. Enjoy the photos of the evening, and be sure to watch this special video, with current and past artist-in-residents sharing the impact Clay Art Center has had on their journey as an artist. Thank you for making our gathering the best ever, and keeping these vital programs strong. Ariel Edwards was our Community Arts Director from 2008 – 2016. During her time at CAC Ariel grew our outreach programs exponentially, mobilizing a group of incredibly passionate teaching artists, volunteers and community partners to bring arts education programs to thousands of individuals in need. High energy artist, educator and arts advocate, Ariel helped CAC advance its mission to a broader audience through the magic of clay. Carver Center has been one of our most enthusiastic community partners over the past decade. Dedicated to building brighter futures by serving, educating, and empowering families in Port Chester, Carver Center has engaged CAC in bringing arts enrichment to hundreds of Port Chester youth and families. In addition, we are celebrating 20 years of providing a launching pad for emerging artists through our nationally recognized Artist-in-Residence program. Read our blogpost: Celebrating 20 Years of our Residency Program. Purchase individual tickets to the Annual Fall Benefit, and attend a night of celebration with us! Online sales are now closed, but tickets are still available at the door. Celebrate with us, and receive tickets and the opportunity to show your support. Bring family, friends, or colleagues for even more fun!. This is a great way to celebrate our fall Benefit with 9 of your classmates, friends or family at a table for 10 reserved especially for you. Table must be paid in full at time of purchase to confirm reservation. Please contact Wendy at 914-937-2047 x221 for more information. Receive ten tickets, and a large journal ad to share your support with our community. Receive a reserved table (12 tickets), and a full page ad placement to share your support with our community. Can't join us? We will miss you, but feel free to support us with a donation of any amount. Your gift will make a difference! This is a way to help commemorate Hand in Hand and a great way to place a congratulatory message to Clay Art Center or one (or all) of our honorees. All ads are black and white or grayscale. Please send JPEG of images to wendy@clayartcenter.org. Journal Ads are now closed due to publication deadlines. Hope you can still join us at Hand in Hand! 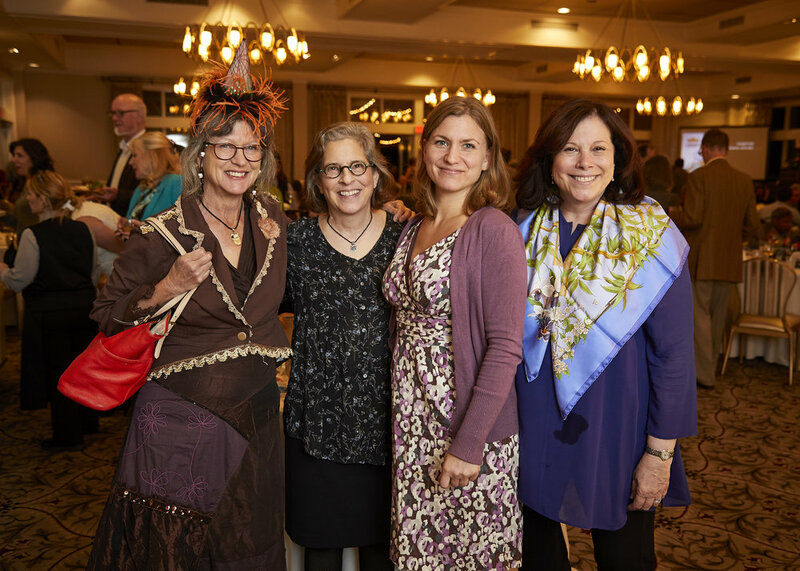 Ginny Waters, Jane Cohen, Brenda Quinn, Roberta Shapiro celebrating at our 60th Birthday Bash. In 2009, soon after Clay Art Center established its non-profit status, CAC hired Ariel Edwards to coordinate our fledgling community arts program. Moving from her position as an Americorps volunteer and children’s program coordinator at Baltimore Clayworks in Maryland, Ariel brought her talents and tenacious spirit to Port Chester and helped double the number of our outreach programs in her first year. She established relationships with a variety of community partners including local housing authorities, special needs groups, family homeless shelters and school districts to create art programs and residencies centered around the ceramic arts. 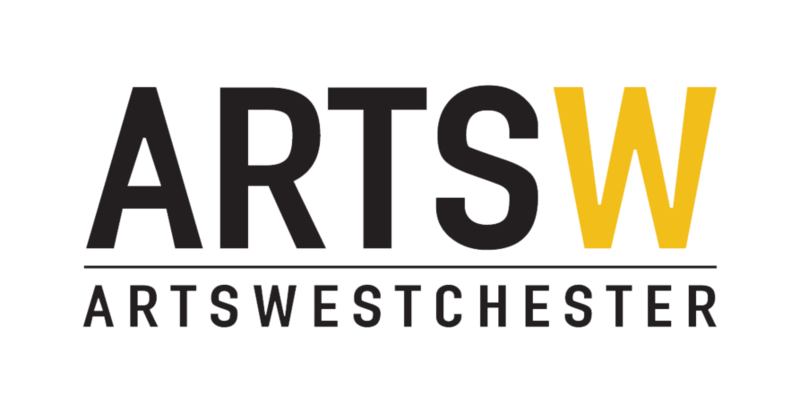 During her time at CAC Edwards mobilized a group of incredibly passionate teaching artists, volunteers and community partners and together they installed 12 public art mosaics throughout Westchester county over the 8 year period she was on staff. The Port Chester Carver Center has been serving the community’s children and families since 1943. It started as a small storefront after school program for children whose parents worked in wartime defense plants. The founders were African American parents—grassroots organizers and advocates for the minority community in Port Chester. They named the organization after the renowned African American scientist George Washington Carver, who passed away in 1943. Carver Center grew to a small food pantry and child care program that operated out of a rented synagogue basement for over 50 years. Today their programs serve a wide range of Port Chester residents, including children, teens, adults and senior citizens. They act as the nucleus of Port Chester committed “building brighter futures by serving, educating, and empowering families in our community.” They provide clients with the proper resources and support needed to lead healthy, productive and self-sufficient lives. As Port Chester’s primary community learning center, their programs and services are crafted to meet the holistic needs of people at every stage of life. For 60 years, artists have been advancing their careers at Clay Art Center. Our Residency program, which commences each year in September, is uniquely designed for emerging artists who need time and space to develop their voices. Residents gain invaluable experience working in a community environment, teaching classes, sharing their technical knowledge and expertise, and managing many jobs around the studio. This year we celebrate the program’s 20th year and the fact that it has been a springboard for 40 individual artists in that time period. Through a competitive process, these artists have come to Port Chester, NY from across the country and are now thriving in their careers around the globe.